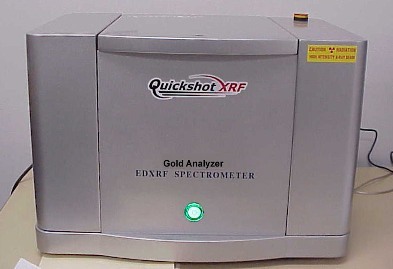 A primary use of the QSX Instrument line of x-ray fluorescence is for accurate identification of gold, silver, platinum and other precious metals in scrap jewelry. Due to this fact, QSX associates have daily conversations with gold buyers and precious metal refiners – as they look to increase long-term profits by investing in XRF Technology. The following is a list of the top five questions that gold buyers and refiners bring up when speaking with Quickshot XRF associates about the technology…ask your own questions by contacting us here. I need something for gold and silver; what’s the best option? Many gold buyers call asking about the QSX-79T but that is a proportional counter detection system. Any “prop-count” system is limited in its ability for precious metal analysis. The QSX-295T is the answer when anything other than yellow gold with four constituents is being tested (which is almost always these days). The top performing QSX-295T uses a relatively low-cost detection system that is still very effective at accurately identifying gold, silver and other precious metals. What about Handheld XRF for gold buying? The only time that handheld technology would be suggested is when portability is a requirement. The desktop (QSX-295T) was developed specifically for precious metals testing and its software is streamlined for easy navigation and provides excellent reporting functions…something that handheld technology can not offer the user. Plus, the QSX-295T offers a layer of protection against plated gold; which is another concern that handheld typically can’t help with. How much are your analyzers? Quickshot XRF provides a top price-to-performance ratio and the most popular option for gold buyers and refiners (the QSX-295T) lists at nearly half the price that some other XRF analyzers are sold for. Contact QSX representatives to find out the exact cost. Will my employees be able to use the unit? Yes. We have developed a streamlined software package that, typically, doesn’t even require on-site training for users to begin obtaining accurate measurements. While on-site training is always suggested, with a basic understanding of computers, the operation manual/training videos and support from our technical staff (phone/email) most users will see the benefits of XRF within minutes. We use acid tests (or other low cost test kit) right now. How is XRF better? You are reading this for a reason…you want more accurate information to help you increase long-term profits and grow your buy-back or refining business. That is what XRF Technology from Quickshot XRF offers. It can help you differentiate your business from competition using low-cost test kits and provide sellers with comfort that they are dealing with the best option for them. General benefits of XRF are listed here.